I'm been doing a few projects with the Pebbles Thirty-One collection lately. I shared some cards with you last week. 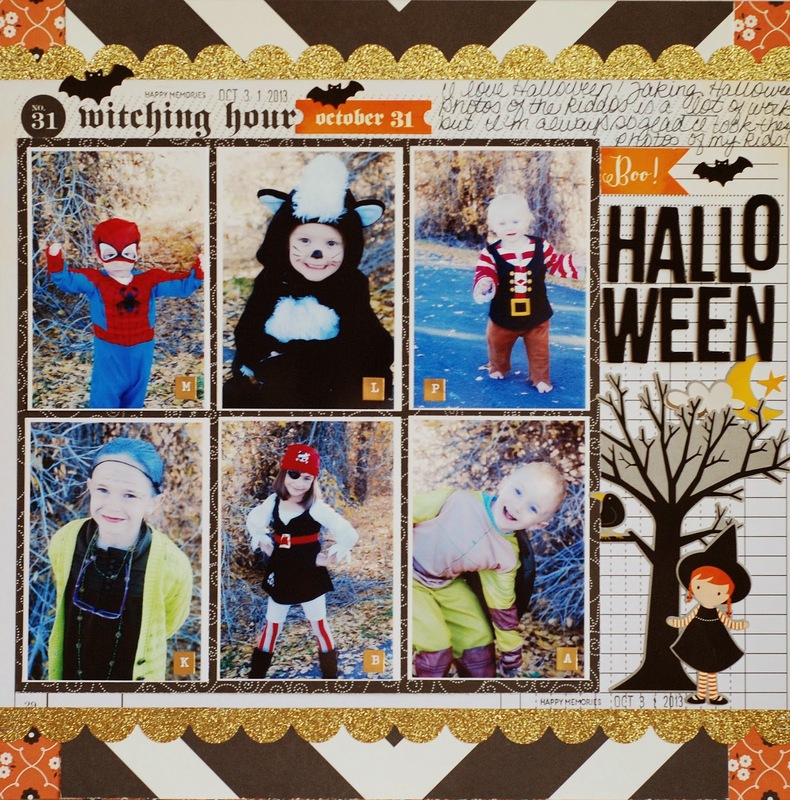 Today, I have a layout on the Pebbles blog and I created a similar one to share with you. 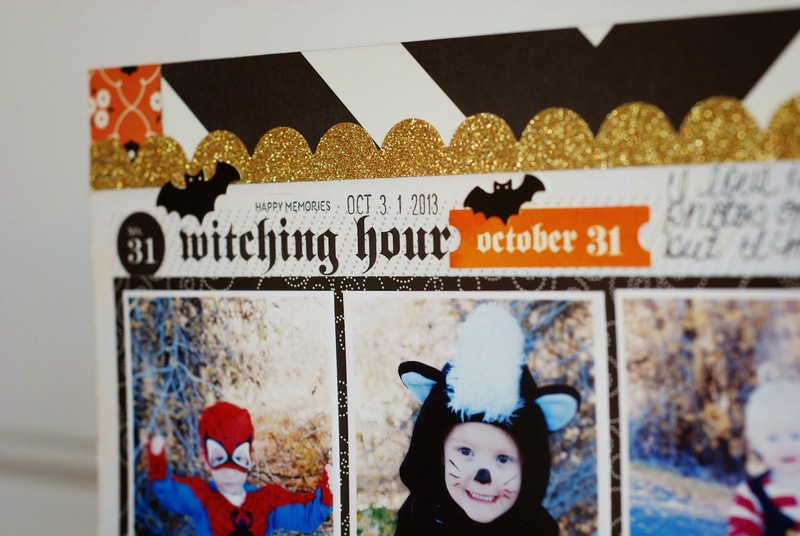 This layout is one that includes six photos of my kids and my nieces and nephew last year at Halloween. Typically I don't use six photos on one layout. My comfort zone lies within the one-three photo range. When I do need to use more than one photo on a layout I most often put them on a grid. That's the easiest way for me to add more than one photo. By putting the photos on a grid it almost makes it seem that I'm working with one big photo. 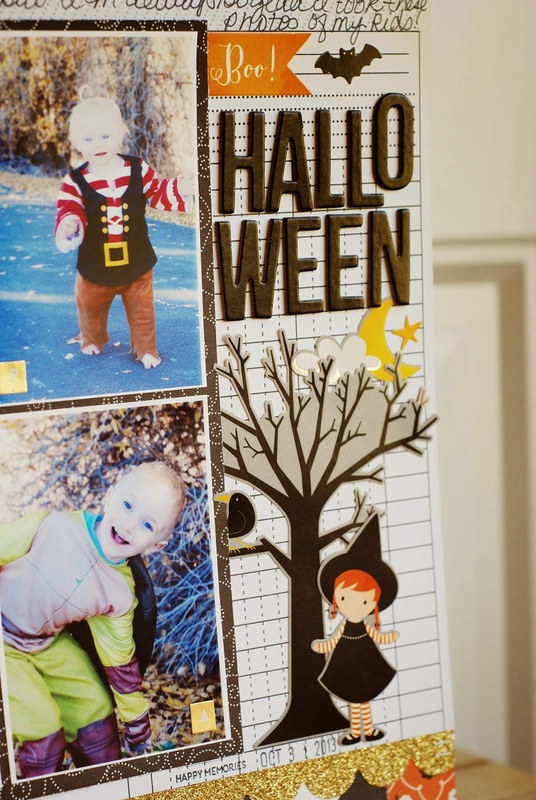 I added a few stickers to the right of the photo grid to create a little Halloween vignette. Now, you need to hop on over to the Pebbles blog and see the layout I created for their blog. Thanks for stopping by for Let's Talk Tuesday.